Warmest greetings and compliments from PakTrip.com, we believe that an essential factor in gaining the most out of one’s travel experience is the knowledge that travel arrangements have been made with comfort and safety in mind. It is this trouble free travel environment that Our PakTrip.com delivers to all its valued clients. We trust that once our guests share the many exciting experiences with us that travel in Pakistan provides, they will come back again and again. The ancient crossroad in the heart of Asia is a land of soaring peaks and secluded valleys of shimmering glaciers flower strewn alpine pastures, ageless deserts and hundreds of miles of sunny beaches. Pakistan is only one country in the world which can offer so many possibilities to each and every visitor. It invites every one to discover the grandeur of its landscapes, thousands of years of rich cultural heritage and hospitality of its people. PakTrip.com has earned a reputation for premier tours with a personal touch along with our great staff. We live and play here, so we really know the area well. Local knowledge combined with a caring personality and outstanding leadership makes for a great trip. We invite you to join us and experience the pleasure of real holidays. All our services are taken with great care and personal touch we go out of the way to make sure every thing goes smooth. Looking forward to welcoming you in Pakistan and assuring our best services at all times. Dear travelers and visitors to Pakistan, Pakistan is country of immense hospitality, culture and loving caring people. It is a country that offers a landscape so versatile that it stands second to none. Its clean environment, its healthy water springs, ancient civilizations, restored forts that have won international recognition and fame. 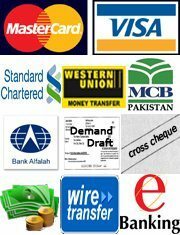 All these contribute to the many successful ventures tourists visiting Pakistan have. But please do take good care of the environment when you are visiting Pakistan. As people living in this world differ in specs or in spaces, but the point to note is we all live in one common place, this world. Pakistan is one of the Most beautiful, attractive and interesting place for tourism. Its a destination for everyone but has very little been visited by the world. PakTrip.com provides you the services of Travel and Tours in Pakistan to show the fabulous country. Our aim is to provide quality service to you at a very reasonable cost. We promote Pakistan as a safe and the most enjoyable secrets of Asia. 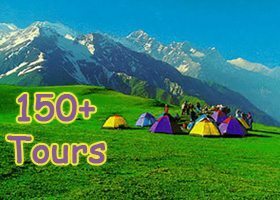 PakTrip is also one of the most leading company in the field of travel and tourism in Pakistan. 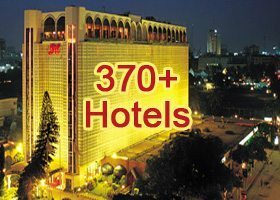 PakTrip.com is an owner managed company having Head office in Lahore and branches in Karachi and Islamabad. Have high experience in travel and tourism business. We boast to have handled several expedition large and small tours. We have possessing Computer facilities for reservation of Hotels, Guest Houses Booking and Car Rental. Our tours are specially designed to give a comfort and the variety of things to do. We take special care of our clients during their travel in Pakistan, by providing them a very personal touch. PakTrip.com invites you to come to our fabulous country where men and mountains meet. We promise you the most pleasant tour of life. Our hard work in designing and operating your tour will definitely please you. Just send us the Tour Quotation, which tour you want and your expected budget. We will tailor a program which will meet all your requirements. PakTrip.com operates all types of tours. We provide our services through our experiences & committed team. We have huge plans to progress within Pakistan as one of the leading travel service provider and destination management company. At present, Company deals in the following services. 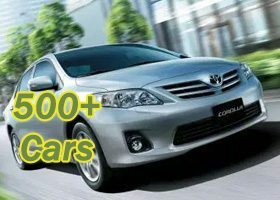 As regards the transport or rent a car services, we use the best that is available. All the transport must have experienced drivers. Some drivers speak several languages. 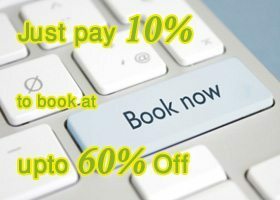 PakTrip.com also provides you the services of the Guest houses booking. We use the wide variety of Guest Houses as per the wish of the clients. From the best available such as Chancery Guest House, Royal Inn Guest House, New Cape Grace Guest House, Jacaranda Guest House and many other guest houses providing the services of the five star hotels. Head Office is located in Liberty, Gulberg III, Lahore, Pakistan, while our branch office/representatives are present in Islamabad, Karachi, Murree etc.